A new comedy from Academy Award-nominated director Jason Reitman [Up in the Air] and Academy Award-winning screenwriter Diablo Cody [Juno]. Marlo [Academy Award winner Charlize Theron], a mother of three including a newborn, is gifted a night nanny by her brother [Mark Duplass]. Hesitant to the extravagance at first, Marlo comes to form a unique bond with the thoughtful, surprising, and sometimes challenging young nanny named Tully [Mackenzie Davis]. 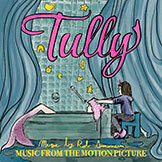 The soundtrack to Tully featuring music from the film is available now on all digital retailers and streaming services! It's time to get real. Create a custom filter and share a photo that shows you're a Real Mom, flaws and all. Tully (Mackenzie Davis) lovingly embraces the newborn. Jonah (Asher Miles Fallica) is excited over cupcakes. Marlo (Charlize Theron) reassures Jonah (Asher Miles Fallica). Marlo (Charlize Theron) takes a well-deserved nap. Director/Producer Jason Reitman explains his vision. Charlize Theron and Director/Producer Jason Reitman discuss notes and direction. Charlize Theron and Director/Producer Jason Reitman reflect off camera. Sign up for Tully film updates! Photo | Tully (Mackenzie Davis) lovingly embraces the newborn. Jason Reitman is back at his best again. Video | Clip: "A Great Mom"
Photo | Marlo (Charlize Theron) reassures Jonah (Asher Miles Fallica). Photo | Marlo (Charlize Theron) takes a well-deserved nap. Photo | Director/Producer Jason Reitman explains his vision.